That's all - nothing fancy, nothing over complicated. 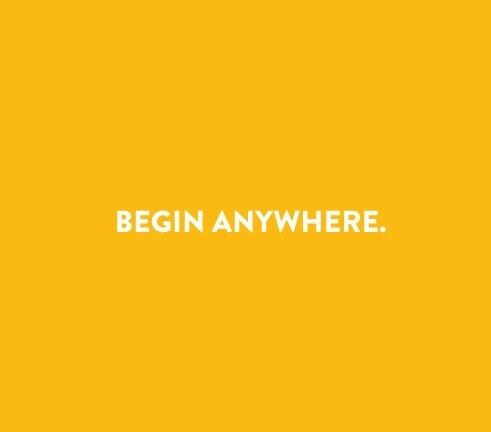 Begin Anywhere. That's the beauty of being alive and being aware - you can start something right now, right in this moment. So don't let whatever is holding you back get in the way - Begin Anywhere, Begin Anyway and Begin Now! Happy Weekend everyone, and we'll be seeing you bright early on Monday morning.